Hendrik Beikirch is known for black and white portraits. While they usually come into being as unique artworks featured either inside on canvases or outside on murals, the German artist has now turned to a different medium. He has produced his first-ever special edition artwork: a four-colored silk screen print with a limited print run of 100 copies. Entitled Astor And Broadway, the subject is indeed based on a sketch that Beikirch did at the corner of Astor and Broadway in New York in 2012. 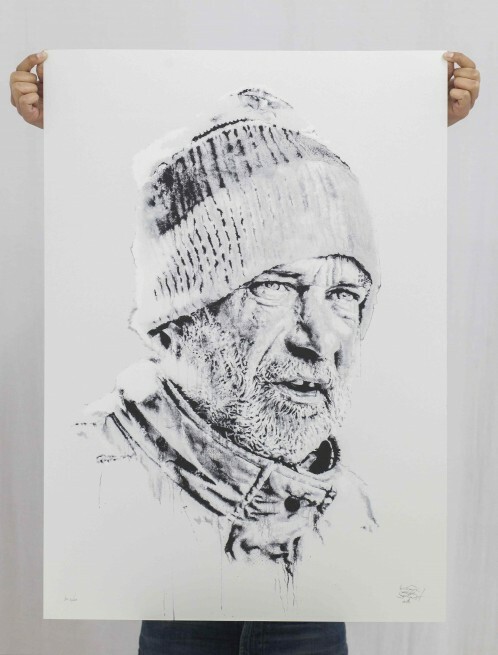 What is peculiar is the fact that while there is a Hendrik Beikirch special edition out now, its launch seems incongruous to its connection with art. The screen print is promoted and sold via Hinz&Kunzt – a street paper sold by homeless people in Hamburg, Germany. Hamburg-based art collector Rik Reinking regularly curates various projects for Hinz&Kunzt. What all of them have in common is their devotion for good causes. All proceeds from the sale of Astor And Broadway go to Hinz&Kunzt and with that, to people in Hamburg who are in need. The sitter shown on Astor And Broadway is an old man. His expression is somewhat lugubrious while he seems to look into a bright future at the same time. This blend of gloom and cheer is typical of Beikirch’s works. The German artist mostly depicts elderly people whose faces tell a life story. 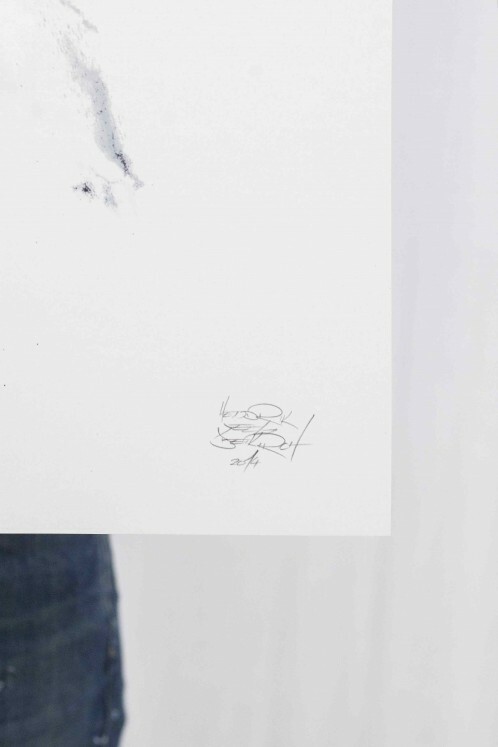 He draws attention to those who have a magnetic personality or some other recognizable value. They are characters who become all the more interesting because they remain anonymous. Beikirch takes inspiration from accidental and brief encounters. In some cases, he gains insight into his sitter’s life. At other times, the particulars remain unknown. As such, his paintings are open to interpretation whilst exuding authenticity and mystery. Hendrik Beikirch’s works are on display internationally and featured both on the streets as well as in galleries. His next big solo exhibition will be on show at his representative gallery Ruttkowski;68 in Cologne in June 2015.